Cold weather creates its own set of stress for all animals, but your pet needs your undivided attention now more than at almost any time of the year. 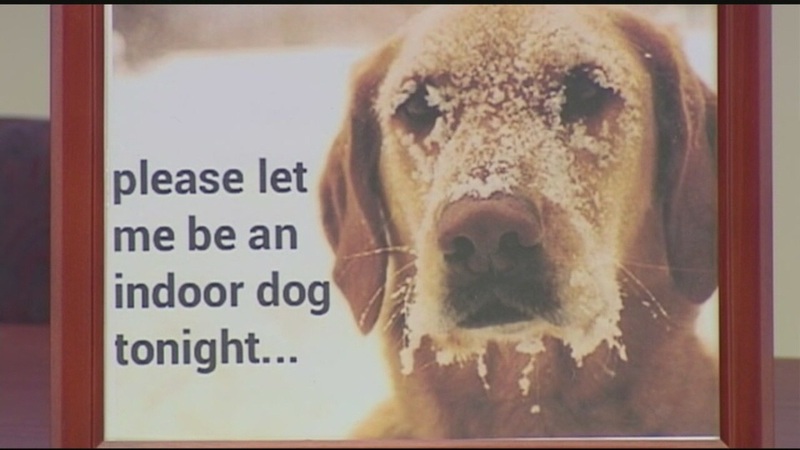 When the temperatures reach sub-zero, it’s time to give the outdoor cat and dog a break and invite them in, even if it’s in the garage. This goes for Northern breeds like Siberian huskies or Malamutes as well as medium-coated German shepherds, golden retrievers, and others in our region where they may not be acclimated to such extremes. When you take your inside pooch out for “bathroom break,” stay out with them. 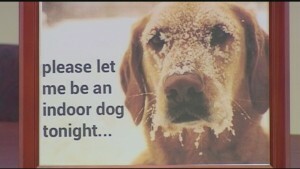 If you’re cold enough to go inside, it probably is too cold for the pet to stay out much longer as well. If you opt not to bring the dog inside, make certain its shelter is clean, dry and well insulated with straw, wood shavings or a blanket. Animals drag a lot of moisture onto their bedding from every trip outside in snow. Plan on changing the bedding as frequently as necessary or simply placing it in the dryer for a warm-up. Equally critical, position the opening, which should have a door flap, away from the direction in which snow and wind usually comes. Keep an eye on your pet’s outside water. If it is not heated, it will need to be changed several times daily when temperatures dip far below freezing. Ice is not a substitute for clean water. Pet stores sell heated bowls, which can prevent water freezing. Nutrition is a particularly important concern. Outdoor pets require more calories in the winter to generate energy to ward off the cold. As a result, add 10 to 15 percent more to its daily diet to allow it to meet those needs. Another way to meet cold weather calorie requirements is by adding some fats to their regular ration. Be careful though, fats can lead to diarrhea and dehydration if too much is added. Horses and other livestock need a windbreak, cover, warm bedding, abundant high-quality feed, and fresh water, too. Cold weather alone won’t make healthy horses ill. But if exposed to isoaking rains, snow and wind, they run the risk of catching pneumonia. Bedding like thick layers of straw or shavings is critical, since it will keep the animals off the cold, wet ground. Like pet shelters, the open side of any livestock enclosure should be faced be away from prevailing winds. Again, water must be heated or changed several times daily. A reduction in water intake and the resulting dehydration in horses can trigger colic.